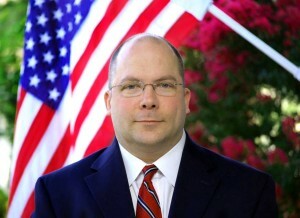 Based in Suwanee GA, Mr. Hynes has represented disability claimants throughout Georgia, as well as portions Alabama, Tennessee and South Carolina. Jeff has more than 15 years of experience in the field of Social Security Disability. He specializes in handling cases needing appealing to the Reconsideration or Hearing level. Prior to becoming a Disability Advocate, Jeff had a successful career in both the private insurance and information technology industries. Jeff is an Accredited Disability Representative (ADR), recognized by the Social Security Administration as a qualified EDPNA (Eligible for Direct Pay Non-Attorney). By law, he is authorized by the Social Security Administration to handle all matters relating to disability claims from the initial application through Appeals Council stage. While working his way through college at Mercer University, Jeff’s mother became disabled. This had a profound impact on his life and helped him realize the importance of helping those in less fortunate circumstances. Jeff is a member of the National Association of Disability Representatives (NADR) — an organization dedicated to preserving the rights of the disabled. He also has the distinct advantage of having worked five years with retired Social Security Administration executives, disability adjudicators and Vocational Experts. In other words, he learned from those who worked “on the inside” of the system. This gives him a rare and unique understanding of the methods and processes of the Social Security Administration. He now uses this knowledge to better represent you. Jeff graduated from Mercer University in Macon, Georgia in 1988 receiving a Bachelor’s degree in Communications with a minor in General Business. Keeping up-to-date on changes is vital, so Jeff attends continuing education every year through the Institute of Continuing Legal Education in Georgia (ICLEGA) and/or NADR (National Association of Disability Representatives). DISCLAIMER: We are not a law firm. We are an Accredited Disability Representative (ADR) recognized by the Social Security Administration as a qualified EDPNA (Eligible For Direct Pay Non-attorney).